Today, people all over the UK will gather together to remember those who have made sacrifices for their own, or another’s country. Remembrance Day is a time to remember the brave men and women of the first and second World Wars. While walking through Coventry City Centre, you might have noticed that a small eccentric red flower has adorned the city in shades of red? People tend to wear poppies as a symbol of remembrance. Remembrance Day falls on the 11th of November every year. To remember the brave men and women of the armed forces who died in the line of duty, at the end of the first World War. The date marks the end of the hostilities of World War I said to have been officiated “at the 11th hour of the 11th day of the 11th month” in 1918. 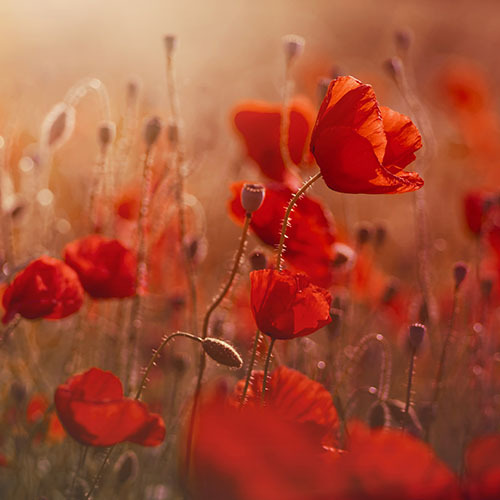 This year marks 100 years since the end of the First World War and events marking this memorial are being held all over Britain – taking the form of poetry, film and literature exhibitions. In Britain, it is a long-practiced tradition to observe 2 minutes of silence at 11am on the 11th of November, to remember all the lives that were lost in both wars and the courageous British servicemen killed or injured. The bright red flower symbolises resilience and bravery. The practice marks its origin from the poem ‘In Flanders Fields’ written by Canadian doctor Lieutenant Colonel John McCrae. He was inspired by the poppies growing in the battle-scarred fields of Canada. With time, this beautiful poignant symbol made its way to Great Britain and now the ‘Poppy Appeal’ launches every year during late October and lasts until November 11th. You can purchase poppies from collectors who sell them all over Britain at all major supermarkets, train stations and retail stores. You can also buy them online at The Royal British Legion’s website. The collection of funds from the poppy sales goes to programs that support veterans, forces’ dependents and the bereaved. The Centre for Trust Peace and Social Relations (CTPSR) undertakes innovative, impactful, world-class research in order to create peaceful relations and strengthen human security. Take a look at postgraduate opportunities available. ← Happy Diwali and Bandi Chor Divas!